UPDATE: CONGRATULATIONS TO Zarina who tweets as @canadian_turtle for coming up with the best suggestion – How to job search in book publishing. 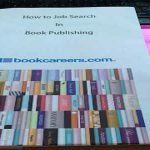 Bookcareers.com will shortly be launching a one-day course on how to job search in publishing. 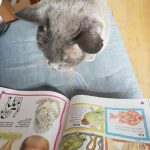 It will combine all the expertise from their Job Club in one day and is aimed mainly at people who already have work history in publishing, rather than those who are just graduating (although new graduates will be welcome), and we are asking for your help in choosing an appropriate name. It will cover everything from CVs, Covering Letters, Interviews, Networking, to Social Media, Recruitment Consultants, Where to find jobs and lots of other snippets and valuable information you need to know. So please get thinking! If you like one of the suggestions we’ve already mentioned and wish to modify it, please do so. Closing date 7.00 pm 10th March 2014. *Prize consists of place on the course only; you will be responsible for your own travel expenses. Sandwich lunch and refreshments will be provided. You must have the right to work in the UK to accept the free place. There is no cash value; this prize is not transferable. 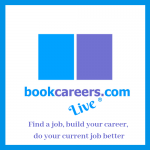 bookcareers.com will have unreserved rights to use the name generated without any further cash payment, royalty or claim for the title.